I make all my inks in my North Wales studio from natural dyes. 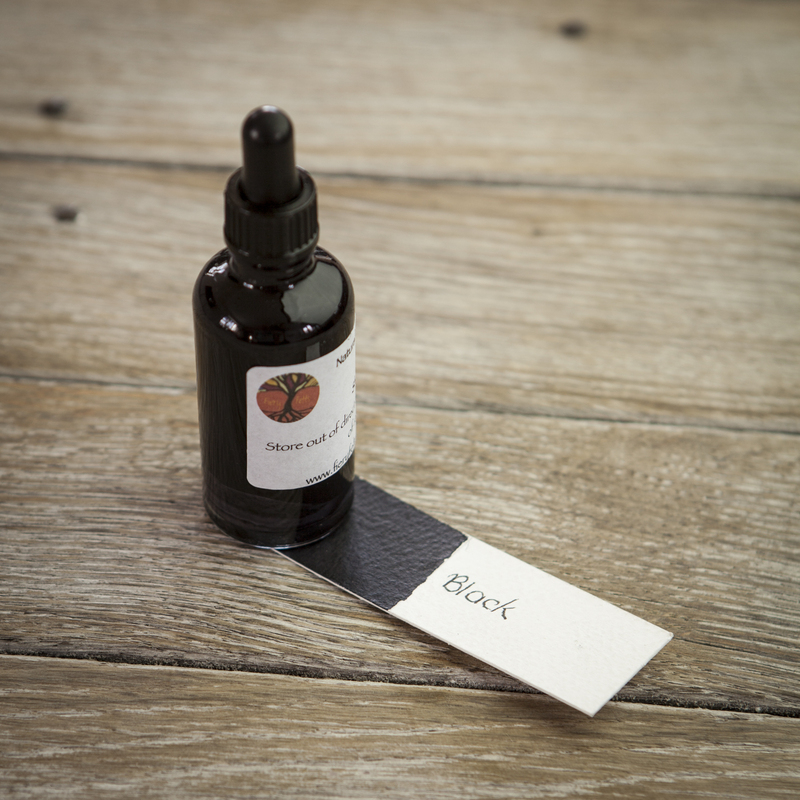 Black is made from oak galls and it is the way black ink was made for centuries in the west, (the Chinese used soot!). The black is made form a combination of the tannin in the oak galls and iron (ferrous sulphate). Painted into paper it is initially near colourless and slowly over 5 minutes or so, the ink oxidises black. The 18th century in the title refers to the fact that logwood is added to the mixture following an 18th century recipe so that when the ink is first painted on it it looks a dark grey colour. All my inks were exposed to sunlight in a south west facing window for one month. The black did not fade so has a lightfastness of 1, it is however corrosive over a long period of time. High quality watercolour paper may only degrade in a 100 years or so however!